Word is the upcoming firmware update to the EOS-M may not be enough to calm all the grumblings about the Achilles's heel of the mirrorless camera, namely its slow AF speed, especially in low light, high contrast situations. 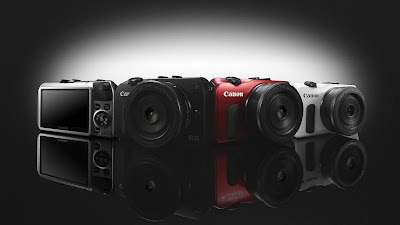 Canon is paying the price of playing catch up with their competitors in this segment. Being the only major manufacturer without a mirrorless camera, they rushed out a product last year to fill the gap and now realized the limitations of their hardware design. The next generation of EOS-M, expected some time later this year, apparently will fix the problem once and for all, but at a higher price point. The new camera will be introduced with a few STM lenses, including a fast prime and telephoto glass, as reported in my earlier post. The EOS-M is not as successful as Canon's Rebel and EOS-5D and EOS-6D line of full frame cameras. They realized the weakness of the EOS-M and is trying to remedy the situation but the hardware design on the current camera limits the AF improvement provided by the upcoming software.